Rio Zhang, 24, visited a dentist for the first time in his life only three weeks ago. Strolling the streets of Yuxian, a city in the countryside west of Beijing, he spied a business office with lots of interesting-looking high-tech equipment visible through the window. When he asked his friend what kind of business this might be, the friend said, “a dentist office.” On the spot, Zhang decided to have his teeth cleaned and the experience was so positive he was hooked. “That experience really made me realize teeth are important,” said Zhang. “I don’t want to have [false] teeth when I get old.” And so, he plans on visiting the dentist office twice a year from now on. Going to the dentist for a check-up and cleaning is a routine many Americans take for granted but, in China today, quality dental care remains relatively rare and, depending on the work involved, expensive. Xi’an is undergoing vast modernization to make itself more inviting to tourists and locals and is simultaneously attempting to keep all of its history important. 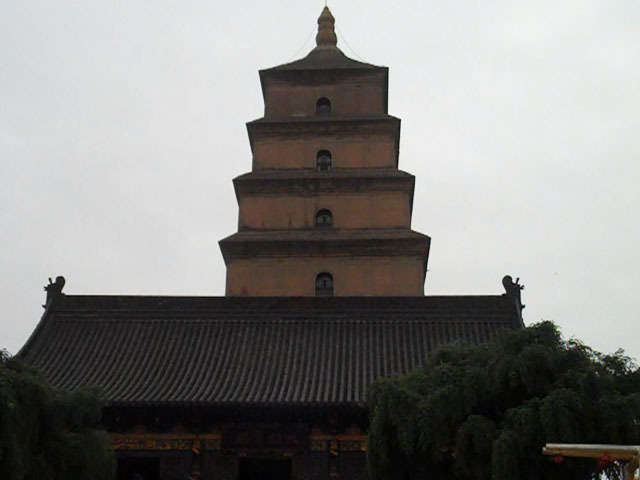 This subject is controversial to some Chinese who worry about the city losing sight of its historical importance. When Meng Yanmei quit her job of 18 years, friends and family begged her not to throw away her career as a general manager for the subsidiary of a government-owned apparel manufacturer, ChinaTex. She realized that despite her success, she would never be able to attain a top executive position at ChinaTex because of the glass ceiling created by gender discrimination in China’s new free-for-all economy. So in 2005, she started NewTex, a company dedicated to manufacturing licensed apparel for American brands. There’s usually a fine line between the real and the fake when it comes to purchasing designer goods, but in the Sanlitun neighborhood of Beijing it’s a narrow road – quite literally. Sanlitun Village, one of Beijing’s trendiest shopping malls, boasts glistening new Versace, Lacoste and Esprit stores and, in so doing, embodies the image of the up-market Beijing, as advertised in American TV promos for the 2008 Summer Olympics, that many foreigners now hold dear. Yet roughly 50 feet away, across that narrow street, sits the squat, four-story Yashow Market. . . .